Hebei Qijie Wire Mesh MFG Co., Ltd was founded in 1981. Our main products include stainless steel screen mesh for windows & doors, stainless steel woven mesh for filter, high tensile screening mesh for mining, welded mesh fence, chain link fence, gabion baskets, etc. Over three decades, the company has accumulated unparalleled experience in the weaving and fabricating of wire mesh products. Our main aim is to ensure customer satisfaction by providing superior quality products at reasonable prices. We use meticulous quality control procedures and analysis in order to ensure our products meet the international standards. A combination of competitive prices, on-time delivery and quality guarantee makes us our customer's best choice. The stainless steel security screening mesh is ideal for windows & doors. Not only screening the flies and other insects, but also keeping a thief or intruder away from your home. Choose it, and give your family a peaceful life. The mining screening mesh is made of high tensile spring steel wire. High-tech equipment from Germany, together with competitive labor cost in China, enables us to supply quality mesh just like our international fellow but only with their 1/3 prices! Choose it, and save your money from today! The gabion basket is always used for dams and other hydraulic projects. It will be filled with stones at the sites then stack one by one to form a wall. Although we are changing the nature, it is still an environment friendly green project! 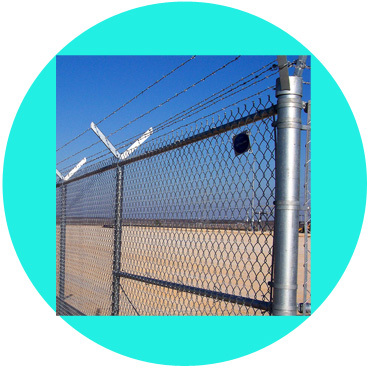 The chain link fence is always adopted by contractors for its high cost-performance ratio. It is supplied in roll shape, stretched at the sites and installed with the applicable accessories. All of our fence and accessories are produced based on ASTM standard, please feel free to order! Company Name: Hebei Qijie Wire Mesh MFG Co.,ltd.